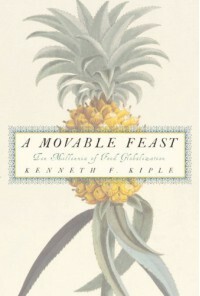 A history of the animals, plants, and processes that make up our food, from the dawn of civilization into modernity. There's some interesting information in here, but it's hidden in what are basically lists. This book is exactly as exciting as an encyclopedia. Now, when I was younger I confess to voluntarily reading encyclopedias from cover to cover (though I never got past the first N volume), but that was for lack of other reading material. Once in a while, a spark of a thesis glimmered, but it was smothered under piles of facts. Still, Kiple's basic points stand up to his yawn-inducing style: the development of agriculture was good for the survival of the human species but bad for our health; GMOs are the bestest; politics, wars, and borders are inextricably linked with foodstuffs.